The media reported that the insurgents created a “military police to crack down” on those unwilling to serve the so-called Islamic State. In a bid to control how jihadists fulfill their tasks, the IS reportedly created some kind of documentation. The paper also reported, citing activists, that many fighters serving the IS have been arrested after their homes were raided. “In Raqqa, they have arrested 400 members so far and printed IDs for the others,” the activist who asked his name to be withheld for security reasons said. According to the report, foreign militants have often been the most active in major battles, but most of the demands are put on local fighters. “They feel they are the ones going to die in big numbers on the battlefield but they don’t enjoy any of the foreigners’ benefits — high salaries, a comfortable life, female slaves,” the activist from Deir Ezzor said. Another problem in the ISIS ranks is growing tensions between fighters of different ethnic groups, the report says. “Many fighters apparently group themselves by ethnicity or nationality — a practice which undermines ISIS’s claim to be ridding Muslims of national borders,” The Financial Times reported. A point of no return? Volunteers to fight for ISIS have been flocking to the region from all over the world. Up to 11,000 fighters from 74 nations had gone to Syria to fight for militant groups during the protracted civil war with up to 2,800 from the West, the International Centre for the Study of Radicalisation at King's College London (ICSR) estimated last year. France, Germany and the UK account for the largest number of citizens fighting with militants in Syria. UK media reported in September that five disillusioned Britons accompanied by three Frenchmen, two Germans and two Belgians were stripped of their weapons and taken prisoner by their militant commanders after an attempt to flee Syria. In November, British PM David Cameron said that ISIS jihadists returning from the conflict region will be barred from coming home. Between 30 and 50 Britons want to return but fear they face jail, according to researchers at ICSR. In September, France's parliament opened a debate on a bill to cope with the terrorism threat. 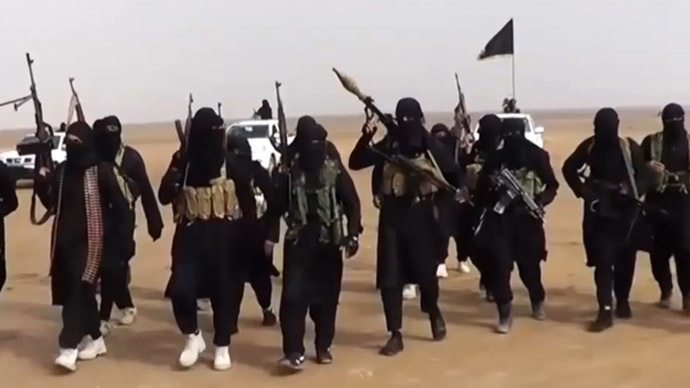 Bill aims at imposing a travel ban on those suspected of planning terror activities. Meanwhile, the first German was to be tried for fighting with ISIS was sentenced to 45 months in jail in December. German Interior Minister Thomas de Maiziere has urged to “especially prevent [the militants’] return as fighters to carry out attacks in Europe." The militants have experienced losses in the past weeks. On Thursday Iraqi Kurds claimed they broken IS siege of Iraq's Sinjar mountain during a two-day attack, involving 8,000 peshmerga fighters and US-led airstrikes, AFP reported. The victory freed hundreds of people from Iraq's Yazidi religious minority, who had been trapped on the mountain since August. At the same time US Pentagon announced the strikes killed several ISIS leaders.